Want to master building your own robots and smart devices? 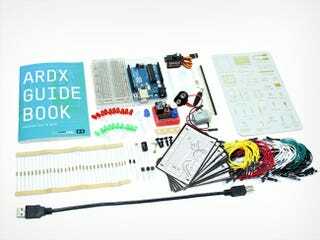 Right now, Deadspin readers can save over 85% on this complete Arduino starter kit & course bundle ($62.99 + free shipping). It includes a full kit of all the hardware you’ll need, plus 25 hours of expert, step-by-step training to get you started. The total value of this bundle is $520, but Deadspin readers can pick it up for nearly 90% off - just $62.99 (includes shipping). Shipping is available within the US, and should take 3-4 weeks to arrive. For more information, hit the link below.